A 61' Servicar I got recently . Not for myself but for the business so it will go up for sale in the near future . Love the fibreglass roof attachment..!? Is it built to go over the box.. or stand alone..!? How Cool will that look done. Maybe could get it past her as a work vehicle, just add a trailer hitch Mmmmmm. Nah, She's to clever for that, she married me didn't she. From previous one's I've seen it's usually a rigid mounted shell and the seat area inside is often seperate . 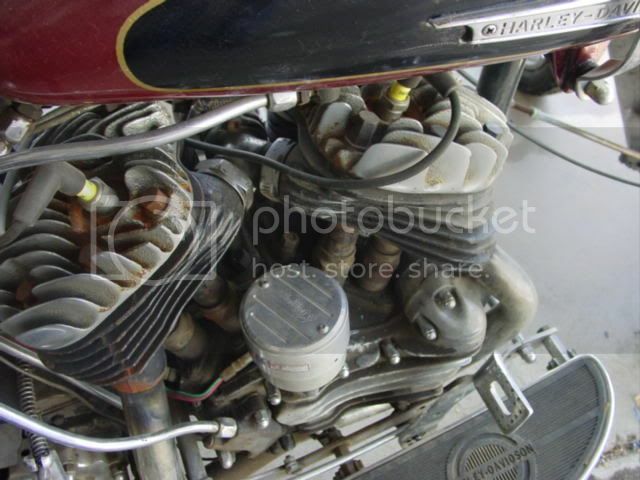 Supposedly made by George Barris but I can't find anything to either support or refute that . 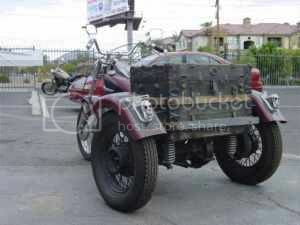 The trike has recently had a $2700US new top end added . Needs battery , fluids , a clamp for the distributor , marker lights and a tune up . Possibly tyres also . 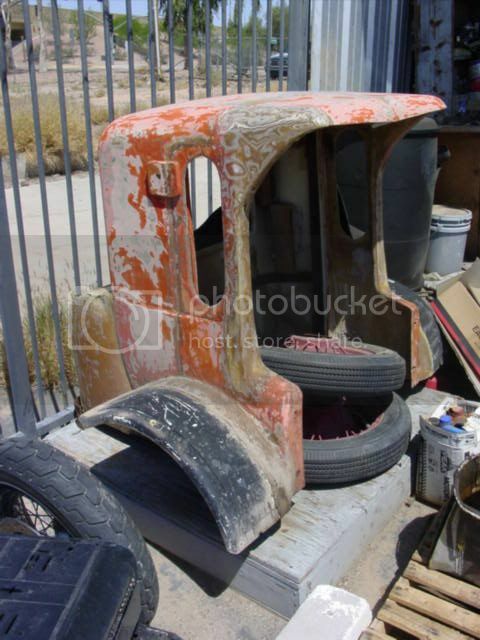 The rear wheels are Model T Ford and they just look the part . If I hadn't bought the Dyna I would keep it but I have limited space for toys these days . Right hand gear change I think means an ex-cop model . I'll be seeing this one in the flesh in a months time when I'm back in the US . Plenty of non original mods done to it... re: Front end.. boot/guards, rims, trunk, paint, etc.. but hey.. would be a sweet.. shop bike.. or promo bike..!? I like the extra roof/trunk addition.. as it had me do the hmmmmm... wonder if it would fit on my 73 GE750... thought..!? Also.. you don't see or hear of them much over here (I only know of two others in Qld).. so a very unique bike to have..!!! The front end is mostly stock . Over length Duo Glide without the covers and with a wideglide fender . chopaweeza wrote: The front end is mostly stock . Over length Duo Glide without the covers and with a wideglide fender . Must be the overlength front end that throw's me out..? And the fact the bikes been stripped down..!? I'm a bit set in my ways.. and reckon they look better when close to stock..? I love that big back end on them..!!! Or even better.. this one.. like mine.. I'd hate to even think what they'd be worth now a days..!? Possibly in the 20 thou range..? 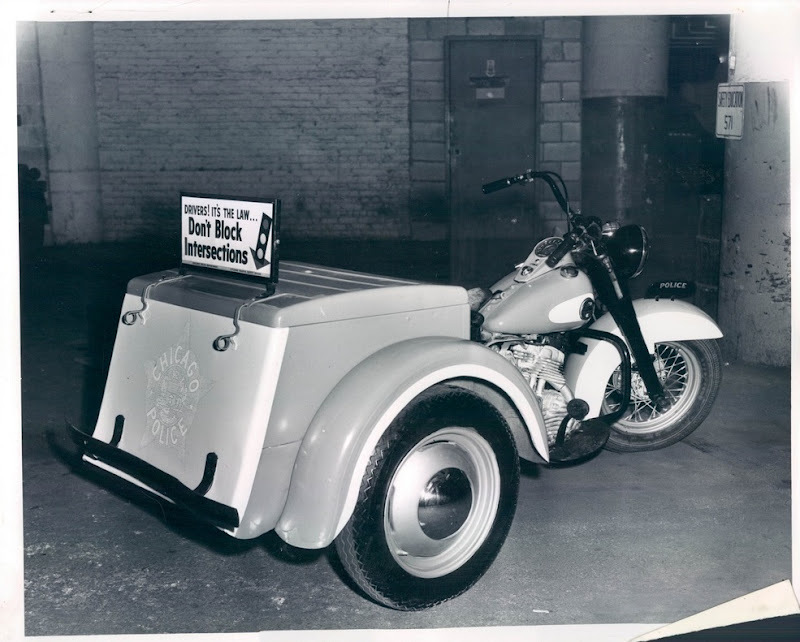 We did a mint Meter Maid model a few years back for a client . Thing was used but everything was there . 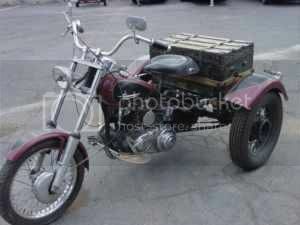 That sold for $23,500 when the new owner realised that the Servicar would never go as fast as his Fatboy . Did a beat up Ice Cream Delivery Servicar last year . It was in shocking shape and is in Tassie being slowly restored . This one will be around the $12-13k mark depending on if the C Cab is sold with it . chopaweeza wrote: We did a mint Meter Maid model a few years back for a client . Thing was used but everything was there . 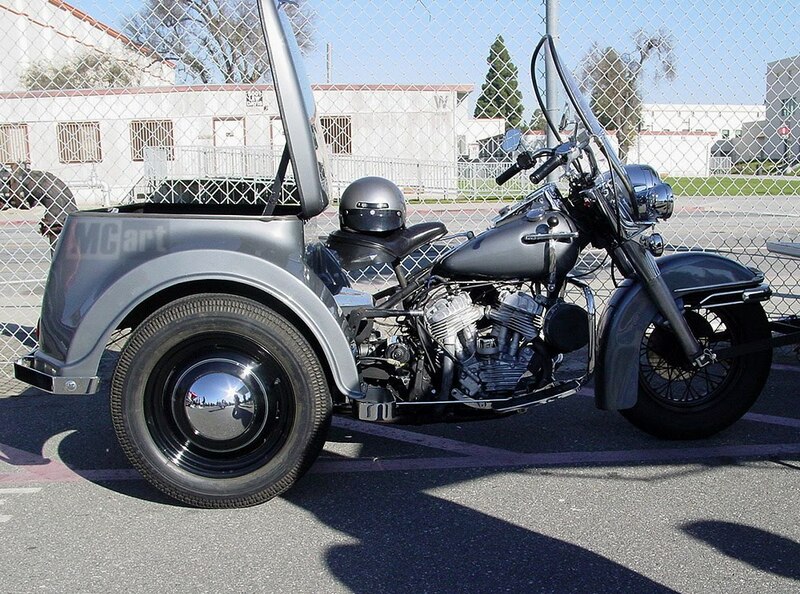 That sold for $23,500 when the new owner realised that the Servicar would never go as fast as his Fatboy . That sort of news.. makes me feel really good..!!! Makes a great Santa Bike..!!! I dunno mate . If a copper tried to pull me over on that I'd stop . Even if only to have a sticky beak . Not a bad effort .